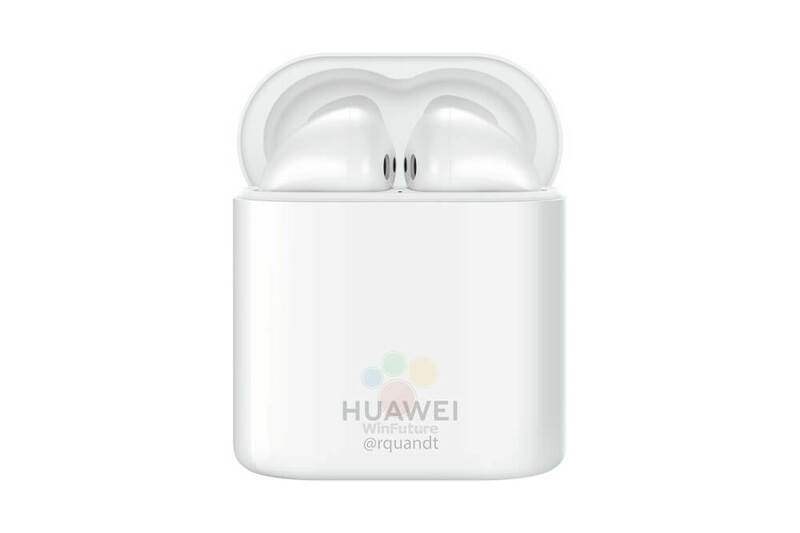 The Huawei Freebuds 2 Pro will have an undeniable AirPod vibe, but the alleged charging system seems rad. 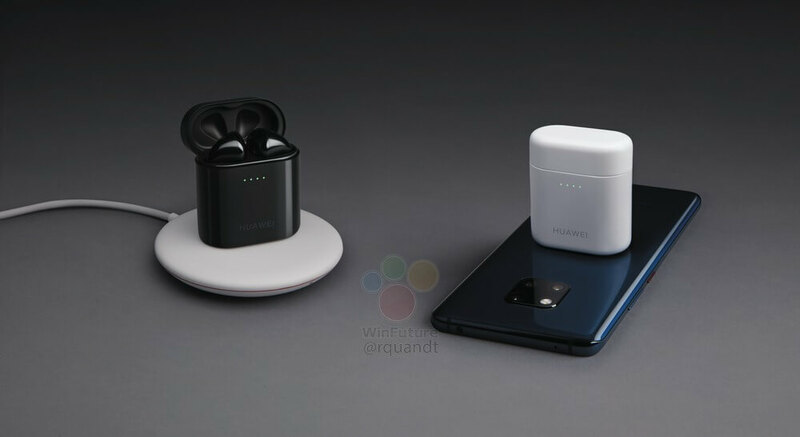 The charging case will reportedly have a Type-C port for wired charging, but they also support Qi wireless charging. Marketing materials for the Mate 20 and Freebuds 2 Pro say that you can also use the phone as a charging pad. Just flip the Mate 20 over and drop the charging case on the back to juice it up. It's unclear if you can charge other things with the phone, but that would be extra neat. The earbuds have around three hours of life per charge with another 20 hours in the case. Charging the case via your phone will apparently take about two hours. It's probably best used to top-off when you're on the go. You don't want to kill the battery in your phone anyway—the earbuds won't be much use if your phone is dead. Here are a few nicer pics of the earbuds and phone.